Two championship wins, 45 races resulting in 35 podium finishes, and 94 percent of all possible race laps completed: for four years now, Audi, ABT, and Schaeffler have formed one of the most successful partnerships in Formula E. New technology – ranging from the complete vehicle through the engine to a radically modified battery system – together with new teams, drivers, and locations usher in a new era for Formula E, an era in which Schaeffler intends to continue its successful track record. The fifth season, which begins next weekend, will involve 13 races across five continents. 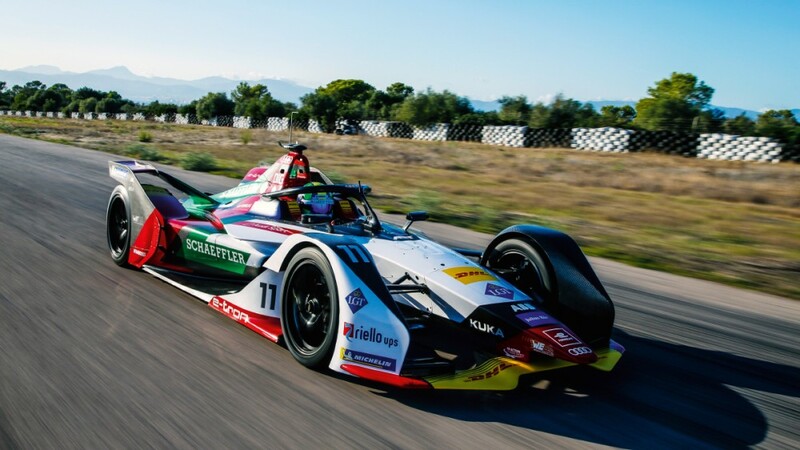 In the fourth season of the all-electric racing series, which culminated in Audi Sport ABT Schaeffler taking first place in the team standings in New York in mid-July, the Audi e-tron FE04 regularly emerged as the most efficient car. Its successor marks the continued evolution of this successful model, particularly with regard to the centerpiece of the Audi e-tron FE05: the powertrain, which comprises the motor, inverter, transmission, parts of the rear axle, and related software. Audi and its technological partner, Schaeffler, worked together to develop the motor generator unit, the Audi Schaeffler MGU03. The engineers aimed to enhance the efficiency and performance of the entire package. And they were successful: 95 percent of the powertrain’s components are new, and the engineers managed to reduce its weight by 10 percent. Schaeffler has been responsible for developing the powertrain since the second season, first in partnership with ABT Sportsline, then with Audi. This season, a total of four drivers will be using technology from Herzogenaurach: in addition to the car driven by its own factory team, Audi Sport will be supplying Envision Virgin Racing with the recently developed Audi e-tron FE05 and powertrain. With its drivers, Sam Bird and Robin Frijns, the British racing team counts among the series’ founding members and protagonists. The new season will begin next Saturday in Ad Diriyah. From there, the Formula E tour will lead the 11 teams and 22 drivers to the cities of Marrakesh, Santiago de Chile, Mexico City, Hong Kong, Sanya, Rome, Paris, Monaco, and Bern before finishing up in New York in mid-July. One of the highlights is sure to be the German home game in Berlin on May 25, 2019. In previous seasons, there was an electric atmosphere created by the hundreds of Schaeffler employees who cheered on from their own stand.